So you want to be a hardscaper? Tip #1: challenge yourself. When you look at a beautifully completed hardscape project, pay attention to the details. You want to be the contractor that asks himself how someone “paved so smoothly and seamlessly?” While skill and knowledge greatly influence the quality of a project, even seasoned installers rely heavily on their tools. Here are 5 landscaping tools every hardscaper can’t live without - they’re sure to facilitate your landscaping experience. You can never go wrong with a durable masonry saw; they’re needed to make cuts in virtually every installation scenario. Without one, cuts are inaccurate and time-consuming. If you're looking for precision and consistency, this is the way to go. A masonry saw will be much more effective than a chisel. Consider dustless options to create a cleaner and safer jobsite. 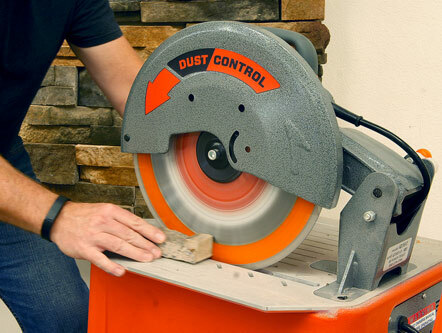 Since the new OSHA silica standard went into effect on September 23rd, 2017, performing a dry cut that produces dust puts your business in danger. However, since then, the market of landscaping tools adapted so suppliers can now offer you dustless options : wet cutting or dry cutting with dust control masonry saws. Wondering which option to choose? We compared both of them in our Dust Cutting with Dust Control vs Wet Cutting article. Whether you’re leveling your block on a retaining wall or adjusting a paver into place, a quality dead blow hammer is important to have. Avoid splitting or damaging the stone with a traditional hammer and invest in this lasting landscaping tool instead. Your jobs and fingers will be appreciative for years to come. From ensuring that every row of your wall is perfectly even in height, to getting just the right back-to-front slope on your step, levels are used throughout the jobsite to guarantee accuracy and good craftsmanship in many different circumstances. 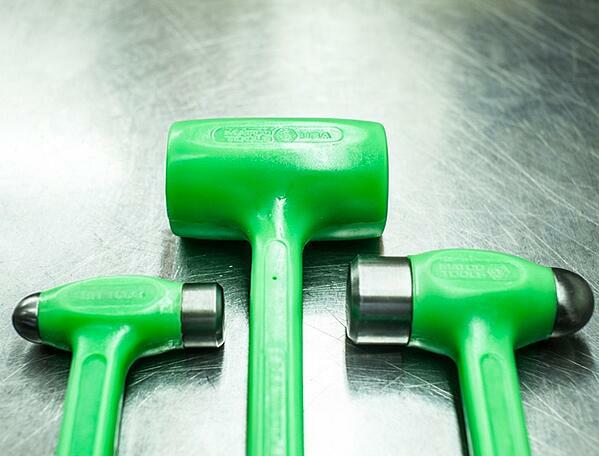 This landscaping tool is probably the most important one on the job. It has the power to make or break your landscape. Without a level base, your wall project won’t turn out the way you desire. Do yourself and your homeowners a favor by purchasing a few quality levels in different lengths. Depending on the projects you work on, the size of the level you will need will vary. Always use the longest level possible while still being practical. 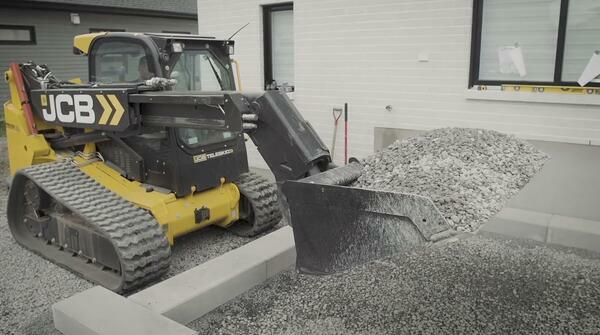 The number one reason for hardscape failure is a lack of compaction. Insufficient compaction results in greater risk of settlement, seasonal movement and rutting. Investing in the right plate compactor is a smart move and will save you a lot of time in the long run. The smallest piece of equipment to consider is a 4,000-5,000 lbs centrifugal force rated vibratory plate compactor. Anything less than that level of compactive effort is incapable of seating paving units into the setting bed. This size compactor can also only compact base material in 2-4" lifts, so consider renting larger equipment for projects requiring a base thicker than 8" to save compaction time. Talk with your local dealer to help find the best option for you. Also, it’s very easy to forget to remove the debris on pavers before you go over them with the compactor, however this process is crucial in avoiding unwanted scratches. In order to protect textured paving stones, consider the use of a protective polyurethane mat that attaches to the compactor to prevent scuffing or marring of the surface. 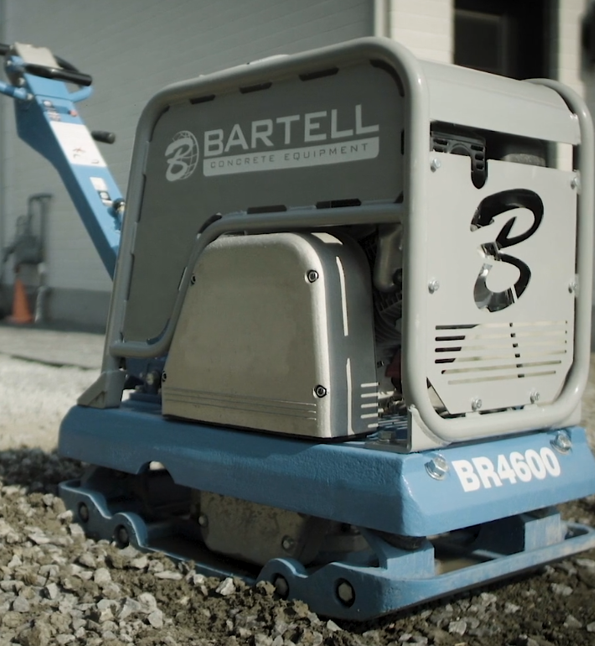 We teamed up with Bartell Global for our Contractor Showcase events this year. Equip your team with a brand new durable plate compactor today! This may be a costly investment, but I promise that it’ll completely revolutionize your production process. If it doesn’t fit into your budget now, you can always rent one. Renting a skid steer is a great stepping stone (no pun intended) to finally being able to purchase one for the long haul with the kind of efficiency it brings to every job. The only downside of using a skid steer is how much it can tear up a yard or location, so do remember to be conscious when thinking of its use and pathways of entry. Check out JCB's website to find a good skid steer and other landscaping tools for your next project. All of these landscaping tools will help you move quicker and achieve a better outcome on each project. Remember, to be a great contractor; make sure you’re prepared for anything and account for the unforeseen. Start small and work your way up to become a real industry pro! For installation tips, check out our YouTube channel. NEED MORE HELP? A TECHO-PRO MEMBERSHIP GIVES YOU EVERYTHING YOU NEED TO START OFF ON THE RIGHT FOOT!